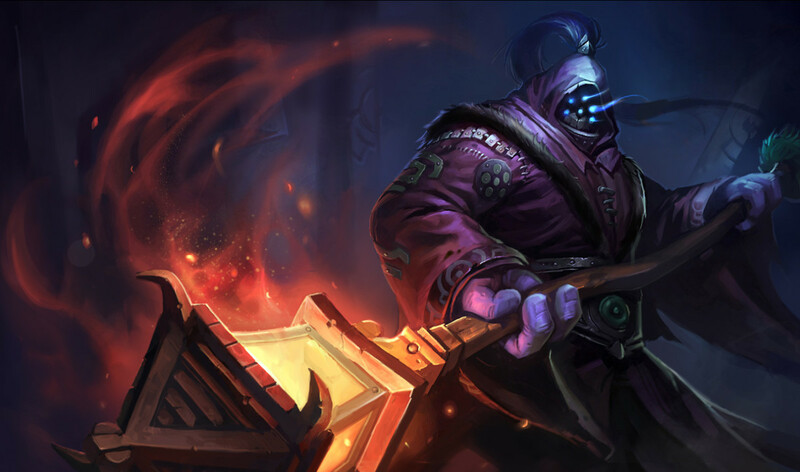 When it comes to playing League of Legends, everyone wants to be the ADC—or at least be a good ADC. They are the "carry" and get the most kills and the most glory. Everyone wants to be that guy. However, it doesn't come easily and you can easily become the most hated person on your team if you are garbage. What makes a good ADC? Positioning, focusing, and farming. You have to be able to always be in the right place at the right time. Another good thing is being able to focus and eliminate a key player on the opposing team quickly so they cannot do the same to you. Kill them before they kill you. How do you stay ahead? Farming. You have to master the "last hit" technique and stay above your opponent on farm. While killing a champion can result in an instant 300+ gold, each creep will generate between around 30 gold. Farming 10 creeps = 1 champion kill. Which one is easier? Depends on the opponent. Vayne is probably my favorite ADC. She is really easy to learn, but very hard to master. Her abilities are more build around the idea of passive buffs and stats. First things first. Vayne has a passive that you probably will never notice. She gains movement speed any time she is moving towards and enemy champ. This is really useful for engagements and chases. Next, her Q is a roll which is great for dodging skill shots and it gives her next basic attack additional damage. Vayne's W ability is another passive ability that marks her target up to 3 times each time she attacks them. Once she attacks the same target 4 times total she does even more additional damage plus a percentage of their max health in true damage. When combining her 4th shot with her Q ability, the results can be deadly. I once struck a crit for something like 1500 with around 500 ad plus all the buffs. Another great tool is her E ability. It is a knockback ability that, if the target collides with terrain, will result in a pretty long stun. This is really good for escapes and engagements. Once you get stunned by Vayne you are probably going to die... most likely actually. Finally, she has a really cool Ult that gives here EVEN MORE AD and gives her roll a stealth ability. I have played against Vayne at time where I will go in for the kill and she will pop her ult and roll behind me. She disappears and by the time she shows back up she has knocked me into her tower and finishes me off. 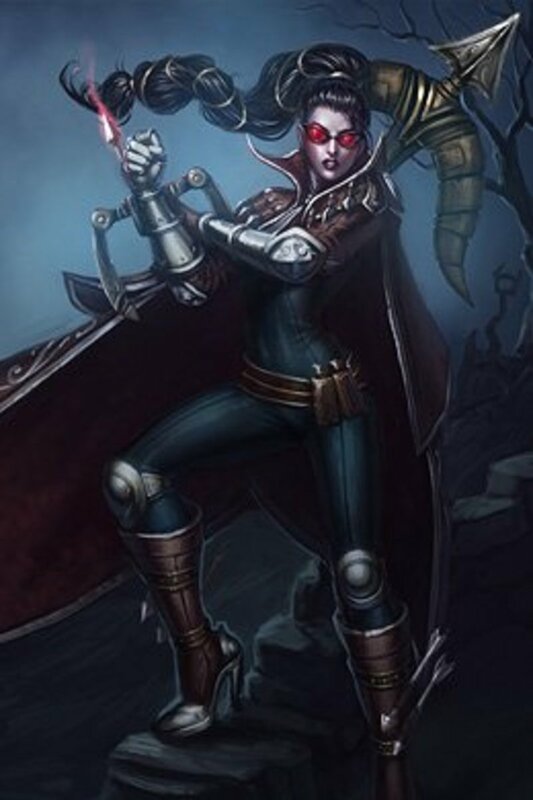 Overall, she is a really good champion that is effective on Summoner's Rift, Twisted Treeline and Dominion. Give her a chance! Draven is the cockiest champion in the league, and he kind of deserves it. 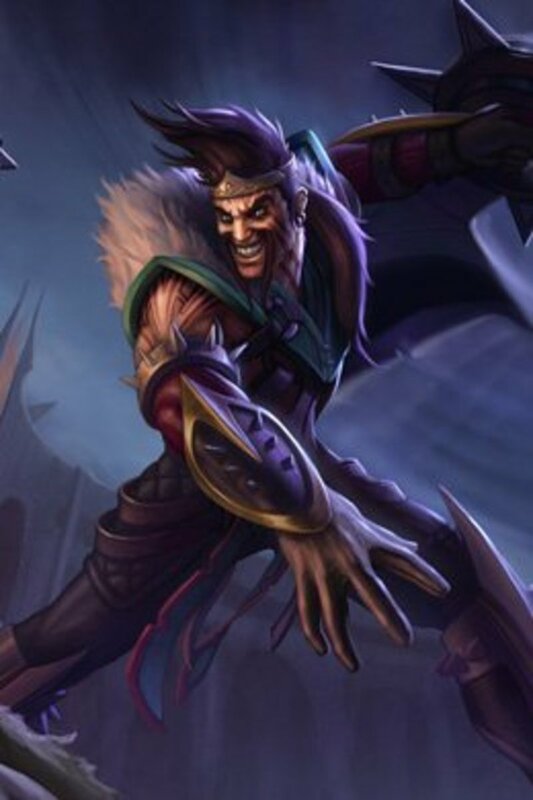 What makes Draven so deadly is his farm ability, his ability to set up an attack and his abilities revolved around focusing a certain champion. Draven's passive ability pretty much makes him scale base on critical damage. He gets a bonus amount of damage when ever he lands a critical strike. This is particularly dangerous because his Q ability allows him to add even more damage onto his next strike. Similar to Vayne, Draven has a great last hit ability because of these damage buffs. Draven's first hit, if it is a critical hit, can devastate you right off the bat and put you in defensive mode. This is where the rest of his abilities come in to play. Once you are in defensive mode, Draven can either cast his E ability and prevent your escape, or kick in his W buff to chase you down and finish the job. If you manage to get away from Draven, he can still cast his ult and finish the job anywhere on the map. His ult is amazing when the game transitions to a battle for mid after the 20 minute mark. He can damage all fleeing champions at once. The only true way to counter Draven is to close range and use crowd control to stop the amount of damage he has. Building armor and using masteries that counter critical damage is also a plus. 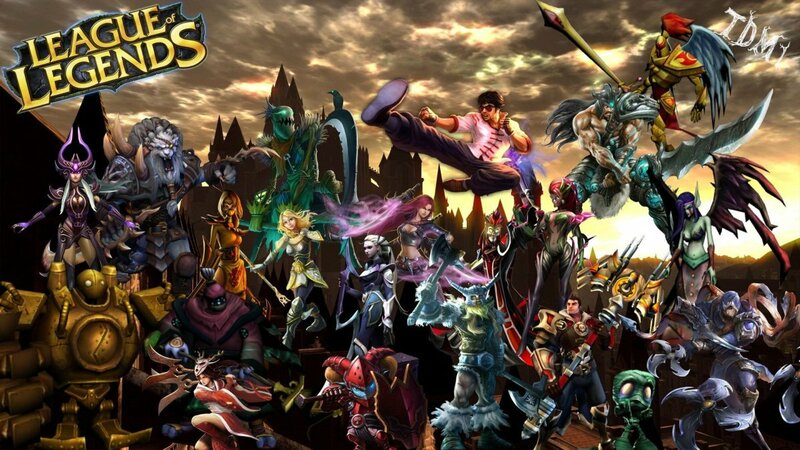 Welcome to the League of Draven! Miss Fortune (MF) is another really popular ADC. What I really like about her is her farm ability and how easily she can cover the map. Her passive increases her movement speed to a maximum of 70 bonus movement speed. This allows her to come back to her lane or gank mid/top in a flash. MF's Q allows her to harass champions and last hit creeps all at the same time. Her cannon bounces off her first target and ricochets to the next closest enemy. Her W ability is a buff that will significantly cripple her target. With her passively gaining magic damage, and actively stopping healing abilities and increasing attack speed, it is perfect for ganks or to start a fight. I would use this ability to focus the enemy carry. Mf's E ability is really fun to use. It does AoE damage around the target area. This can again harass champions while helping her farm at the same time. It also applies a slow that will help a hidden jungler make their entrance. 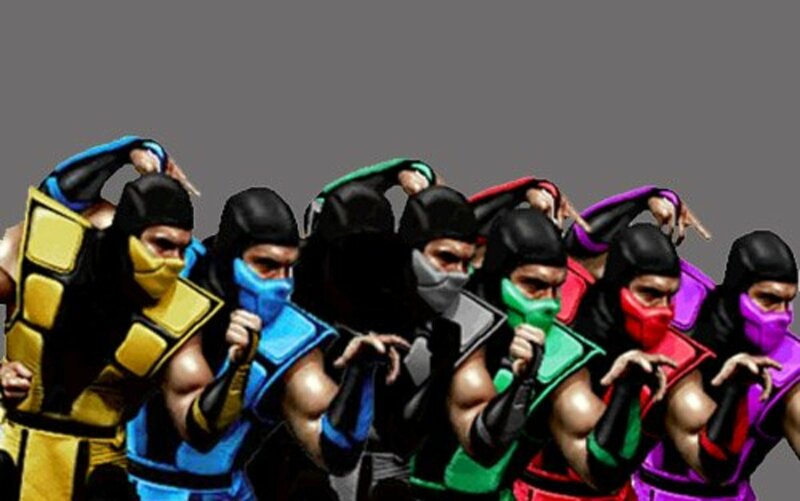 Finally, the great finishing move. MF's ult just fires a whole bunch of cannons in a line and hurts anything and everything in its path. What is great about this ult is that you can fire it from within the jungle. So a tower camping champion can still meet their doom when MF is around. Overall, MF has great range, great harass and farm ability. She lacks focus without having a good amount of burst damage in comparison to the two champions above but if built right, she won't need it. Definitely a good ADC to start with! Caitlyn is another one of those ADC champs that have a passive boost for damage. This makes her pretty deadly as far as farming and harassing is concerned. Her passive gives her 150% damage to a champion and 250% to a minion every few attacks. This can be useful if timed correctly. Cait has a pretty large range which will allow you to outstretch your opposing ADC and nail some pretty good hits on them and put them in the defensive. Her Q ability has the greatest range out of all of her abilities, besides her ult. It fires a shot in a straight line that will pierce through minions and hit champions. Another great tool for harassing and finishing creeps on a last hit. 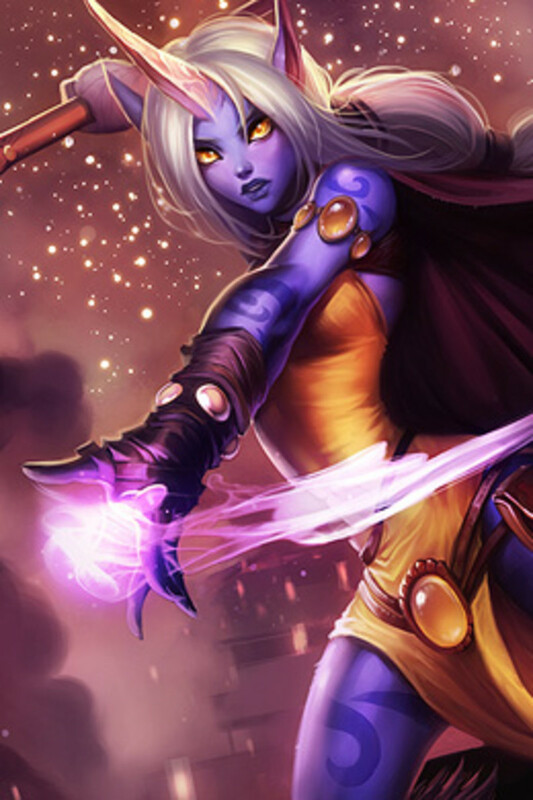 Her W ability is a trap that I think sets her apart from any other ADC. It pretty much makes her gank proof if they are placed properly. 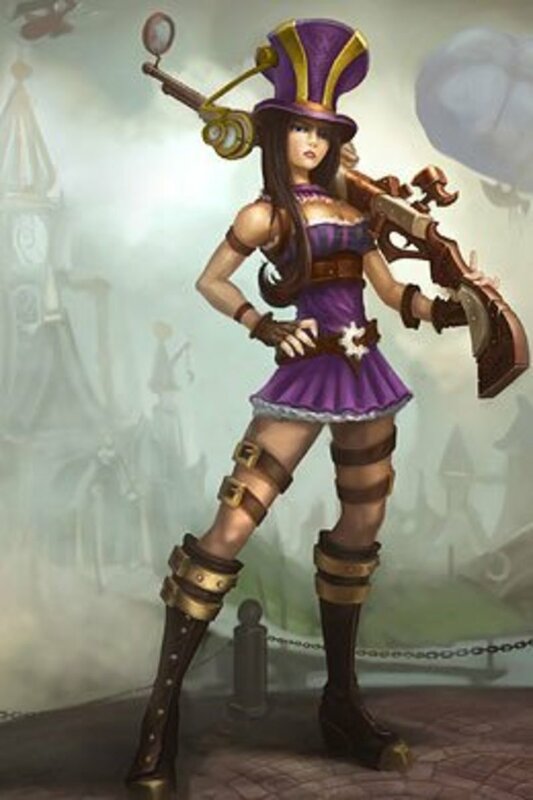 It can also set Caitlyn up to hit her passive buff and Q and devastate an enemy from afar. Caitlyn's E ability is usually used for an escape, but it also provides a good slow. It shoots a net out and slows the first target it hits while knocking Caitlyn back. I usually use this as an escape to avoid crowd control. It can also be used to close range as well! Finally, her ult is called Ace in the Hole. It locks on to a single target and delivers the finishing blow. The range on her ult is what makes it so effective. It is massive. Overall, Caitlyn has a great ability to position herself to farm and harass effectively. Her only weakness is the lack of burst damage. You really need to have good timing to have an effective burst on Caitlyn. The best way to counter Cait is to close range early and stay ahead of her and deny her to farm. Be careful and play Caitlyn with care! 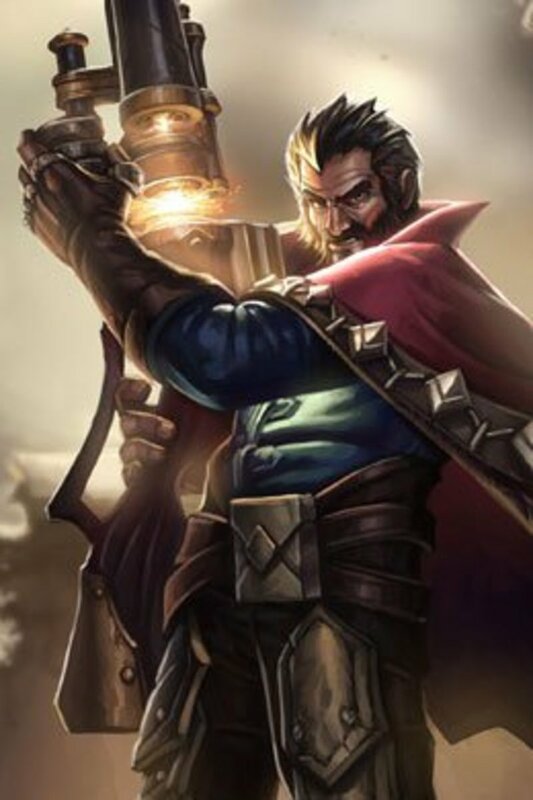 Graves is one of those champions that isn't played often, but when played well can be a game changer. Like Ezreal, he relies a lot on skill shots, but what makes him a different player is his ability to survive longer in combat. Graves' passive gives him bonus armor and magic resist the longer he is in combat. The reason why this is awesome is that if he is ever duking it out with another ADC or even a jungler, with a enough lifesteal and sustain he can out fight them and come up with a victory. Other ADC's will fall to the might of good jungler. Now back to the lane. What is really good about graves Q ability is the fact that it gives a wide area of damage to both creeps and champions in its way and it's a cone styled skill shot, which requires less 'skill'. It does substantial amount of damage and is a great tool for harass. Graves' W Smoke Screen is an underrated ability. A lot of players who play Graves don't chose to level this ability up early, which I can understand but not entirely. What it does is it gives Graves another skill shot ability that does decent damage and has a huge range. It also provides a huge blind for anyone that is caught in the AoE. Why is this useful? 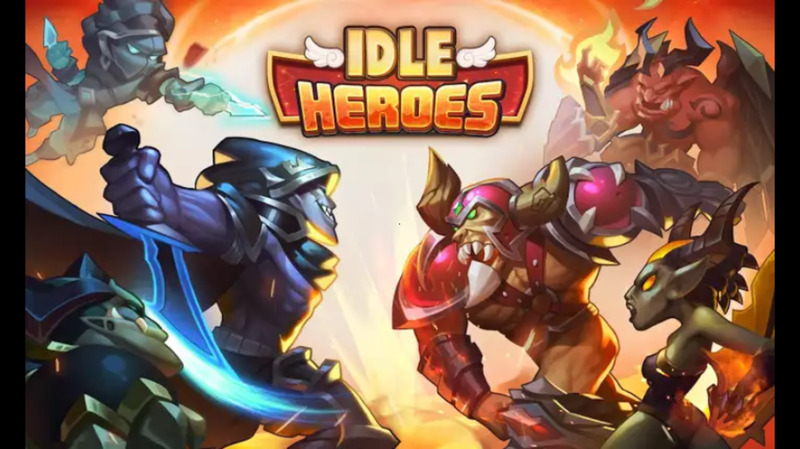 In a team fight it will automatically shut down all abilities that are not a skill shot. It can also set up a gank and provide your jungler that half second they need to show up and do some damage! Graves also has Quickdraw, his E ability. This dashes him forward and substantially increases his attack speed. This is great for engagements, setting up his Q or escaping the last minute. Just like Vayne and Ezreal, you can use it to dodge skill shots as well. Finally, you have Graves' ult. It in a sense is a last second nuke. You can use this to finish off 2-5, yes I've seen a Pentakill with this, champions at once. I have also seen people use it to start of an engagement because players like to group together at the beginning of fights where this ability will be most effective Graves is all about positioning. If you get in a bad spot with Graves it will be hard to get out of it. However, his 'tankiness' will help provide assistance in situations like these. Gives Graves a shot and see if you can catch up with Twisted Fate! Ezreal is a really fun champion to play as, if you like skill shots. All of his abilities, with the exception of his flash like ability are skill shots. The great part about that is you can easily farm, check brush and control your positioning. Ezreal is a really bursty champion that is hard to finish off. Every time he hits one of his abilities his passive increases his attack speed by 10%. This sets up Ezreal to become more effective the longer he lanes or is in battle. Both of his Q and W abilities are both skill shots. His Q does a lot more damage and lowers his cooldowns, but automatically stops when it hits its first target. His W does less damage but travels through targets to its maximum range. It can also increase the attack speed of an ally that is hit by it. That is a good way to set a support or a jungler up to be more effective! 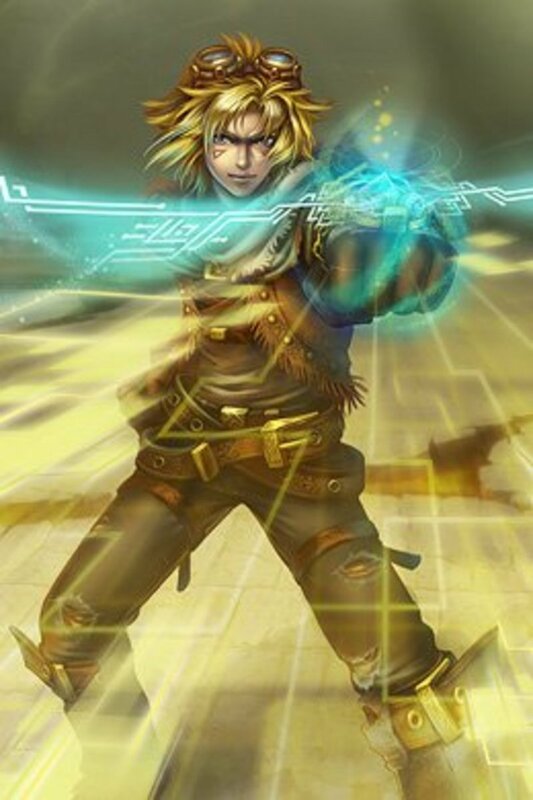 Ezreal's E ability will flash him to the target location of your choice and upon him arriving at that location he fires a shot of magic to the nearest enemy unit. This is great for starting an engagement, closing range or escaping at the last second. It will also help with dodging other skill shots like Corki's ult. Overall, Ezreal's basic spells give him great positioning and mobility with a good chance to get last hits. His ult is one of the most notorious in the game. I have seen it used to start a team fight and give his team the edge, I have seen it used to finish off an enemy and I have even see it successfully steal Baron from the enemy team. It is easy to cast and hard to avoid. Out of the 3 long range finishers (Ashe, Draven) it has been the most effective in my experience. Playing against Ezreal is easy. You just have to catch his rhythm and dodge his skill shots. Harass him and put pressure on him to thwart his farming efforts and close range to make it harder for him to pull off a shot. Champions like Leona as a support will ruin Ezreal. Have fun playing this champion! Ashe is who started it all. 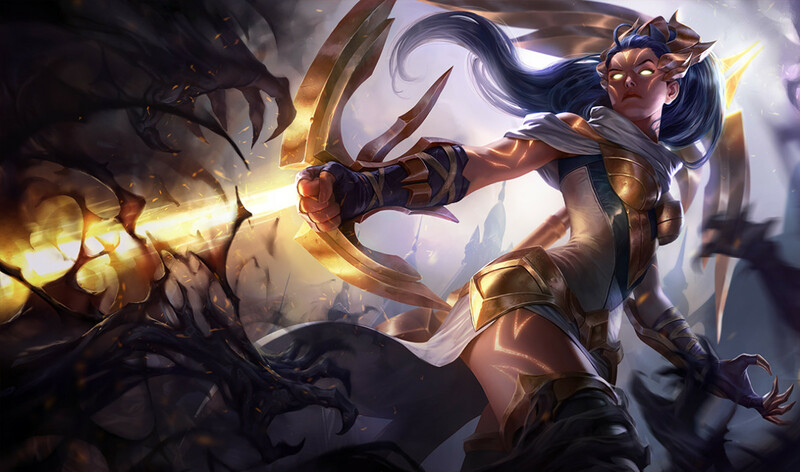 She laid the foundation for what an ADC should be. Considering that she is still useful after LoL's 100+ champions, is absolutely amazing. What makes her unique to this day is her slow on hit ability that is built in. You get a Frozen Mallet that is built in to her character. That is a game changer right there. Why this is so great is that you can invest less in attack speed and more into AD in early game laning. Back to Ashe. Her passive makes her exceptionally deadly by almost guaranteeing a critical damage strike after a few seconds out of combat. This can be useful when setting up ganks on mid lane. Her Q ability, as we just discussed is a toggle ability that will slow targets on it. The slow late game is terrifying. Her W ability is probably the best harass in my opinion in the game (for ADC's). It has the widest cone on any skill shot and applies her slow on hit. It doesn't cost a lot of mana like Graves' Q and has a low cooldown. You can shoot this through the jungle as well. 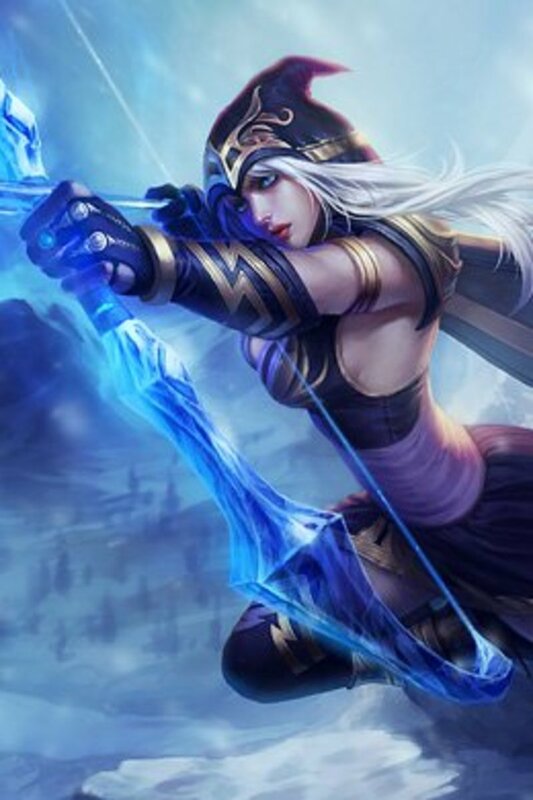 Ashe also has a 'counter-gank' ability with her E. It reveals an area of her choice which will warn her of any camping champions. It also passively gives her more gold per kill on creeps! Great for farming. Finally her ult. One of the biggest nukes in the game. It is a giant arrow that shoots all the way across the map and will stun and do a lot of damage to the first champion it hits. This can be used to finish a kill, start a kill, or provide an assist. Really useful ult! Playing Ashe is fun and really laid back. She can do a lot of damage and harass a lot early game. One of the few ADCs that can play mid without trouble. Playing against her is pretty simple as well. Just close range and don't let her farm early. An Ashe with Infinity Edge early game is scary. Which ADC on this List is Your Favorite? 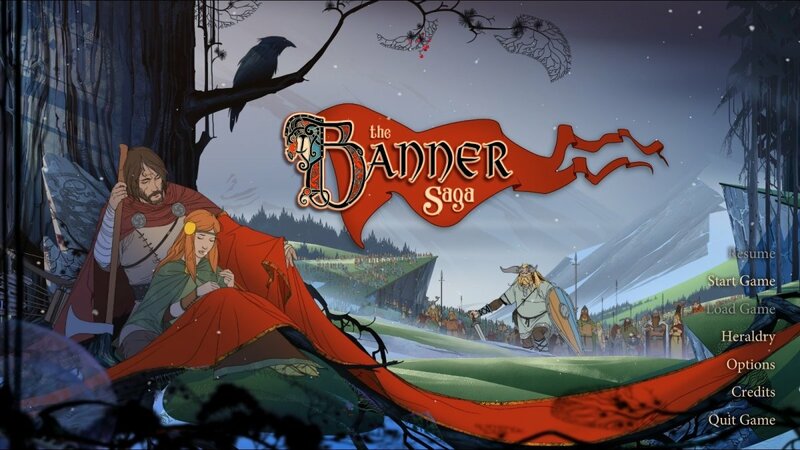 good and well written. Read my hubs and comment it.